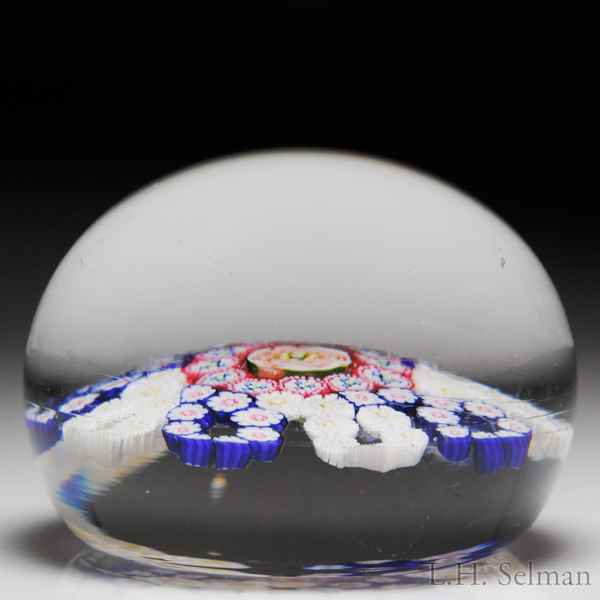 Lovely antique Baccarat looped garland and rose cane paperweight. A rare pink and green Baccarat rose cane is ringed by a slightly spaced circle of red, white and blue complex star canes at the center of the weight. An eight-looped garland frames this central motif alternating between loops of complex white star canes with yellow cores and complex canes of royal blue and white. Clear ground. Diameter 2 13/16".